In this webinar we will share examples of how social learning can bring a unique dynamic to the LMS experience. We will hear from a number of organizations about their experiences with this integration. Offering a certification program through your LMS can formalize the relationship with the learner and create loyalty to your organization. In this webinar Adrienne Segundo will be discussing the latest best practices for setting up a certification and approaches for integrating these programs into your LMS. 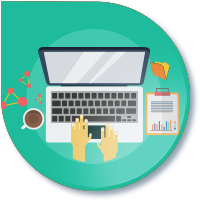 Offering a certification program through your LMS can formalize the relationship with the learner and create loyalty to your organization. In this webinar Adrienne and Keith will be discussing the latest best practices for setting up a certification and approaches for integrating these programs into your LMS. 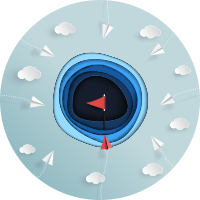 In this session, Tracy King will share two key decisions and her go-to learning strategies for designing courses that win the clicks. As a bonus, she’ll share her Learning Tactic Take-Aways download to inspire your online course design. The development of eLearning content is a significant investment. Sorting through the four levels of engagement, media production, and course design options can feel overwhelming. In this session, Tracy King will share two key decisions and her go-to learning strategies for designing courses that win the clicks. As a bonus, she’ll share her Learning Tactic Take-Aways download to inspire your online course design. Most associations rely on informal processes to guide innovation with their education programs. Too often professional development staff and volunteer leaders “design at the white board.” Without a validated understanding of the challenges their members face, leaders fall into the trap of costly program development that they ultimately discover does deliver an adequate return on their investment. 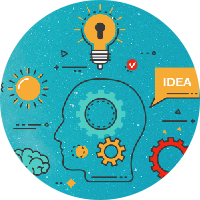 Design thinking is a human-centered and systematic approach to innovation that provides you with tools for discovering unmet needs of your members. By focusing on empathy and iteration, the design thinking process helps you create solutions that are grounded in the experience of your stakeholders and informed by their feedback through a co-creation process. Involving your members throughout the process, you ensure that you focus in on solving important problems for your members. You also protect your organization from investing in programs that flop. See how this works through a case study of an association that applied this method to their program development. Learn what design thinking is. Discover how to use this approach in designing innovative, cutting edge professional development programs. Review methods for co-creation that work for association programs and services. Carol Hamilton is principal at Grace Social Sector Consulting, LLC. She helps associations and nonprofits become more strategic and innovative for greater mission impact by providing organization effectiveness consulting, meeting design and facilitation, and training to organizations. A strategic thinker, Carol has worked with teams and organizations to envision and frame their future strategic direction. Practical in her approach, she helps organizations think through who is key to creating their future, how to gather insights from these stakeholders, consider the big picture, imagine new possibilities, come to agreement on their future goals and create an initial action plan to get started. Carol led multiple design thinking projects while at NAFSA, including a project which won an innovation grant from ASAE. She participated in Design Thinking DC’s 2015 Summer of Design and was part of the winning team and mentored a team this past summer. With more than 25 years of experience in the associations and nonprofit sectors, Carol facilitates sessions frequently on leadership, strategy and innovation topics. She graduated from Swarthmore College and has her Masters in Organization Development from American University. To support a movement towards innovation in leadership, CommPartners along with our experts, Mary Byers, Dave Will and Melissa Schreibstein, have created the Advancing Leadership Webinar Series. This series is designed to help you identify specific tactics to enhance your performance, improve creativity and lead with clarity and conviction. Associations increasingly find themselves in a competitive environment where they must continually evaluate their relevance and impact to their communities. This creates the need to constantly innovate while managing day to day challenges. Creative thought requires an entrepreneurial mindset and a freeing from the daily grind we all feel each day. To support a movement towards innovation in leadership, CommPartners along with our experts, Mary Byers, Dave Will and Melissa Schreibstein, have created the Advancing Leadership Webinar Series. This series is designed to help you identify specific tactics to enhance your performance, improve creativity and lead with clarity and conviction. We will specifically address how to develop a culture of leadership and innovation, giving you strategies to engage your community and strengthen your resilience. CAE Credit: Attendees may claim 1 credit (per live webinar) toward their CAE application or renewal professional development requirements. In a volatile, uncertain, complex, and ambiguous world where associations and their members are forced to adapt and respond to change, leaders need more than tactical and technical skills. The same strategies that U.S. Army leaders use to bolster resilience can help associations gain a mental edge and drive innovation. In a volatile, uncertain, complex, and ambiguous world where associations and their members are forced to adapt and respond to change, leaders need more than tactical and technical skills. Melissa Schreibstein, M.S., ACC, leadership coach and resilience trainer for the U.S. Army, will offer strategic planning for the critical mental, emotional, and social elements of workplace performance. The same strategies that U.S. Army leaders use to bolster resilience can help associations gain a mental edge and drive innovation. Assess the quality of motivation and the culture of innovation within their organizations. Explore how the Self-Determination Theory of Motivation (Deci & Ryan) and the Broaden and Build Theory of Positive Emotions (Fredrickson) can help set the conditions for an innovative culture. Define tangible strategies they, as leaders, can put into action immediately to establish work environments where innovation thrives. CAE Credit: Attendees may claim 1 credit toward their CAE application or renewal professional development requirements. Melissa Schreibstein is a gifted coach and passionate facilitator with a proven track record of empowering people to change their outlook, improve their leadership skills, and conquer their goals. Melissa has more than 12 years of experience helping leaders and performers develop an edge. Melissa honed her passion for helping leaders develop the mental and emotional qualities that underlie peak performance and resilience working as a trusted advisor, trainer, and subject matter expert for the U.S. Army. Whether it’s in the gym, office, classroom, on the field, or on the range, Melissa provides compelling lessons, sound insight, and enthusiastic, strategic support to help clients achieve higher levels of success. Melissa completed certification in Leadership Coaching for Organizational Well-Being from George Mason University, where she also leads the Coach-Mentor program. She maintains an Associate Certified Coach (ACC) credential through the International Coach Federation (ICF). Melissa studied positive psychology and resilience with a team at the University of Pennsylvania. She has a Master of Science in Kinesiology from the University of North Carolina at Greensboro School of Health and Human Services and is also a member of the Association for Applied Sport Psychology (AASP). How can you drive CONTINUOUS FEEDBACK giving you INSIGHT into your members, staff and your board that will help you make more effective decisions in your association? You probably use SurveyMonkey and send out an annual survey to members. Maybe you capture feedback after a conference or seminar. There's so much more you can do to drive CONTINUOUS FEEDBACK giving you INSIGHT into your members, staff and your board that will help you make more effective decisions in your association. There's the old way of surveying. And then there's a completely different way to manage feedback. This webinar will walk you through the best way to capture valuable feedback on a regular basis in a way that will allow you to drive greater member value than ever before. At the end of this webinar you'll have access to the knowledge and tools necessary to automate continuous feedback from your Members, your Staff and your Board. How to put feedback on cruise control. While working for SAP, a multi-billion dollar software company, nearly 20 years ago, Dave Will was advised to "walk faster and smile less, because perception is reality". Dave took this feedback to heart and started a business based on the antithesis of this advice. 14 years later, Dave successfully sold Peach New Media, an LMS for associations, which is now part of Community Brands. Since then, Dave and former Peach, Cameron Aubuchon, built a Feedback Automation Platform called PropFuel and they're here again to help associations build a stronger relationship with their members, staff and boards by gaining insight on a frequent and continuous basis. 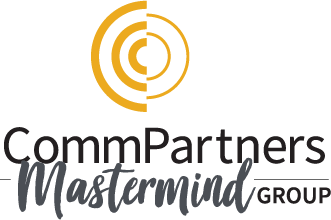 A mastermind group is comprised of like-minded individuals who discuss topics related to their personal and professional growth. The facilitator will educate, mentor and inspire participants to move their ideas to action. Participants offer peer support and accountability to help each other achieve success. Investing in your leadership development. Thank you for collaborating with CommPartners to create effective learning environments for Associations. In appreciation of serving members and overseeing their continuing education in an online learning community, we are offering YOU an opportunity to enhance your network through peer leadership. What is the Facilitator’s Role? The facilitator provides practical materials and guides interactive learning. What is the Participants Role? Participants prepare for and attend sessions with the willingness to learn and readiness to interact in guided dialogue. Materials will be provided in advance. Participants will complete a reflection journal entry and create a move to action item for each session. Becky Schwartz Corbett, MSW, ACSW is a national speaker, trainer, and executive coach in intentional growth, leadership & career development, Producktivity®, and The Bridge to Hope & Healing®. She has 27 years of non-profit executive management experience with mission-driven organizations, membership & trade associations, and colleges & universities. Becky was born and raised in New Orleans, and received a MSW degree with a concentration in planning and management and a BS degree in human development and family studies from The University of Alabama (UA). She is President & CEO of BSCorbett Consulting, a John Maxwell Team Certified Coach, Speaker, and Teacher, a member of the Academy of Certified Social Workers, career services consultant for the UA School of Social Work, and served as Chief Operating Officer of NASW from 2008 to 2013. Becky is fiercely dedicated to inspiring people to lead and helping individuals and organizations move ideas to action. Emily Tevault, MBA is the Chief Producktivity® Officer with BSCorbett Consulting, LLC. Emily believes in order to be productive you commit to a process of intentional personal and professional growth. She sees life as a sequence of processes to be identified, created, and made more effective. Emily is a consultant, coach, and trainer in the areas of time management, intentional growth, and project management. She uses her 18 years of nonprofit accounting, finance and management experience with non-profit educational organizations and associations to establish trust, build relationships, and connect the pieces of the puzzle. Emily applies the Producktivity® Principles: Identify. Connect. Organize. in her own life and with her clients to move ideas to action. Emily received a MBA with a concentration in finance and a BM in Viola Performance from the Peabody Conservatory of Music from The Johns Hopkins University. Emily is a John Maxwell Team Certified Coach, Speaker, and Teacher and is an approved candidate for the Uniform CPA Examination by the Maryland Board of Public Accountancy. There’s been a lot of talk about innovation in the association community—and a lot of myths about what it really is. If innovation were easy, everyone would be doing it. Those who innovate lead the pack. Find out how to join the small group of elite innovators! Those who innovate lead the pack. Find out how to join the small group of elite innovators! Mary Byers, CAE, is co-author of "Race for Relevance: Five Radical Changes for Associations" and "Road to Relevance: 5 Strategies for Competitive Associations." She’s the former director of communications and member services for the Illinois State Dental Society and served in that capacity for nine years prior to starting her consulting business in 1998. Mary specializes in working with volunteer association leaders and chief staff executives to help define their roles and clarify their vision through leadership conference programming, facilitating strategic planning retreats and coaching. Mary is a certified association executive and a member of the National Speakers Association. She is also the author of seven books. To increase relevancy and engagement, organizations are creating online conference and event experiences that bring cutting edge content and meaningful conversations to their entire community. The effort to be more inclusive provides the right message to help build loyalty and attract new stakeholders. We appreciate conferences to help rejuvenate and inspire us. We value opportunities to share ideas, network and learn from each other. Unfortunately, due to time or budget restrictions, only a fraction of our community gets to experience these programs. To increase relevancy and engagement, organizations are creating online conference and event experiences that bring cutting edge content and meaningful conversations to their entire community. The effort to be more inclusive provides the right message to help build loyalty and attract new stakeholders. In this session, we will explore the benefits of upping your virtual events game to make a real impact on the success of your organization. • Understand the value of virtual events and explore real-world examples. • Discuss how webcasts, livestreaming, and virtual conferences can extend your reach, revenue, and impact. 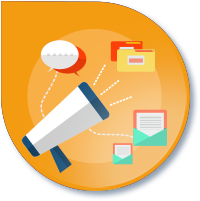 • Define the technical requirements for launching a virtual event and how you can implement the latest trends. Jill is a seasoned Event Producer that works with clients to ensure their virtual events are executed with precision and expertise. Originally from a little town called Hollywood (Maryland), Jill is a Towson University graduate who plays competitive softball and is an avid Redskins, Capitals and Orioles fan. Jon joined CommPartners in December 2008 with a rich background in broadcast television and festival/concert visuals. He uses his passion and creativity for multimedia to enhance CommPartners clients’ webcast experiences. Meghan is an Upstate New York Native who graduated from James Madison University. Starting with the company in 2007, Meghan has evolved to be a leader at CommPartners, directing our client development efforts. She enjoys strategizing with clients and exploring new avenues of delivering their online education. Her background working as an Event Producer and Client Development Representative has prepared her well for this position. What's All the Fuss Over Micro-Credentialing? Wondering what new and innovative ways other organizations are offering their education? Join Keith and Adrienne Segundo with Limitless Association Solution Resource as they discuss what they see emerging in the education/ certification space. Are you like many other association professionals trying to grasp at all the latest buzz words – Micro-Credentialing, Micro-learning, Digital Badges, etc.? Grasp no more – join Keith & Adrienne Segundo with Limitless Association Solution Resource as they discuss with you the emerging trends in the certification/education space. They will discuss ways to increase the value of your program by incorporating one of these trends and they will provide you with other new and innovative ways other organizations are offering their education. It’s time to focus on engaging your brain at a higher level. It’s time to think smarter. It’s time to equip your brain with the ability to conquer the complexities of 21st Century work by going full frontal! Every day, you use your brain to complete your most important work. 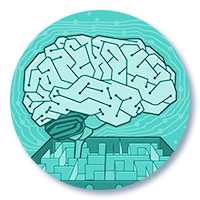 A maze of intricate neural networks act as the engine to solve challenges, to innovate, to learn, to plan, to reason, to manage your emotions, to think strategically. These networks connect past experiences and knowledge to today’s challenges. Healthy resilient brains wire and fire across four major lobes: frontal, temporal, parietal and occipital. The frontal lobe of your brain acts as the central command center. It links information back and forth across other brain regions. It’s where the executive functions of your brain reside. It’s where you do higher order thinking skills, like decision-making, planning, strategic thinking and more. 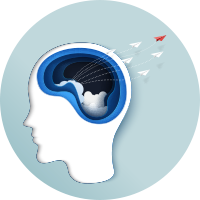 If you want to work smarter, more efficiently and more effectively, you’ve got to practice going full frontal—leading from your frontal lobes--with transformative thinking. Identify one full frontal strategy to increase your productivity and enhance your decision-making that leads to a more successful business regardless of your age. Discuss how full frontal SMART Strategies lead to brain health and thus healthy, successful businesses. Jeff Hurt joined Velvet Chainsaw Consulting in January 2010. In 2012, he was recognized as the PCMA Educator of the Year. Jeff has worked in leadership roles with five associations, five government organizations and several companies in the education, events and meetings departments, including Meetings Professionals International and Promotional Products Association International, one of the top 50 shows in the industry. He is considered one of the leading authorities in the meetings industry on adult education, conference design, digital events and social media for events and associations. He speaks and blogs frequently about meeting and technology trends, the future of conference education, adult learning and all things meetings at velvetchainsaw.com. 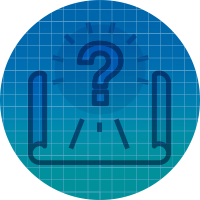 You’ve invested in your LMS with the right design and content, but now what? This webinar will explore how digital marketing strategies and tactics can increase reach, engagement, and retention of your education programs. You’ve invested in your LMS with the right design and content, but now what? The truth is, if you build it, they may not actually come! This webinar will explore how digital marketing strategies and tactics can increase reach, engagement, and retention of your education programs. Chris is co-founder / CEO at WebMechanix, a performance marketing firm that is one of the largest & most respected pure-play digital firms in the mid-atlantic. Chris knows a thing or two about SEO/SEM, search marketing, analytics, copywriting, UX, conversion rate optimization, email marketing, marketing automation, growth / funnel "hacking", CRM, and attribution. Chris spearheaded the launch of WebMechanix Academy, a training & certification program that rapidly prepares aspiring marketers for meaningful careers in the field. WebMechanix has won all kinds of awards, been a mainstay on the INC 5000 & Chris is a regular on the speaking agenda for conferences & universities all across the country. He was also recently named Ernst & Young Entrepreneur of the Year Finalist. Chris graduated with honors from the Robert H. Smith School of Business at University of Maryland College Park. Aubrey is the Marketing Manager at CommPartners and is responsible for all things digital. Aubrey is a seasoned marketing professional who has a passion for building strong brands. Aubrey has an MBA from Loyola University and a BS in Business/Marketing from Towson University. Which of these topics are of most interest to you? Please login to access this poll. The role of an LMS has evolved significantly over the past few years. Organizations are recognizing the power of online learning to enhance their positioning with their communities and attract new participants to their programs. So given the emergence of learning platforms, how can organization organize and present their content to maximize this opportunity? The role of the LMS has evolved significantly over the past few years. While organizations are recognizing the power of online learning to enhance their portfolio and attract new participants -- they're not sure how to strategically maximize this investment. In this session we'll facilitate a discussion about winning content strategies you can begin to implement immediately. ​You’ve invested countless time and effort into building your learning portfolio, but now it’s time to see the return. This webinar will explore strategic and creative ways to maximize your revenues and return on your online education investment. Associations invest significant time, energy, and resources to be their member’s go-to-place for education. But how do you translate these efforts to create meaningful returns on your investment? Monetizing your learning is an impactful way to develop non-dues revenues, but knowing where to begin can seem overwhelming. This session will navigate the basics in monetizing your learning and explore strategic and creative ways to maximize your education revenues. Marci Thompson is an experienced member-education strategist within the association community. She is familiar with all aspects of continuing education curriculum development, member outreach and running successful synchronous and asynchronous learning events. Currently, Marci is the Vice President of Knowledge and Professional Development for the Society for Marketing Professional Services – leading the charge to develop strategy for the future of SMPS training and development. She oversees all educational programming, including: the Society’s annual conference, classroom and individual instruction, and distance/online learning program development. Molly S. Mazuk has been planning and developing continuing medical education since arriving as a bright-eyed intern at the American Society of Addiction Medicine (ASAM) in 2013. Her work focuses primarily on physician education programs around prescription opioids and the overlap between pain and addiction. She loves finding new ways to teach the same material. Molly is a graduate of St. Mary’s College of Maryland. The benefits of social learning have been widely discussed over the past several years. Sponsors of private communities recognize the power of peer to peer sharing of ideas when combined with knowledge from experts. That said, most organizations continue to present their education in separate and distinct areas of their website. The benefits of social learning have been widely discussed over the past several years. Sponsors of private communities recognize the power of peer to peer sharing of ideas when combined with knowledge from experts. But, most organizations continue to present their education in a separate and distinct area. This session will review the approach taken by CommPartners and Higher Logic to foster community driven learning. We’ll be joined by Elizabeth Bicer, Education Director from Peak Grantmaking to discuss how her organization made the decision for a unified offering. Andy is a frequent thought leader and keynote speaker at conferences and events, traveling the globe to educate professionals about the importance of collaborative software, the cloud and the impact technology makes on the community it serves. At Higher Logic, his guidance helps clients experience these profound impacts. Prior to co-founding Higher Logic, Andy owned and built a profitable software business whose primary focus was on member-to-member collaboration technologies. It was this software, when combined with complementary software which his business partner, Rob Wenger had built, became the heart of the Higher Logic platform. Before starting his software company, Andy spent ten years serving as the Chief Information Officer at the Risk & Insurance Management Society, Inc. (RIMS) where he headed their technology and social strategy initiatives. From 1986–1996, Andy served in the Royal Navy, which allowed him to travel internationally around most of the world including the Arctic and Antarctic. He returned from a three-year tour in Hong Kong to study Computing in Business at Brunel University in London. Liz leads the PEAK Grantmaking Learning Program Department and is focused on creating learning opportunities and environments that will empower and inspire you to make a lasting impact on your organization and profession. Liz is a seasoned education professional with expertise in the planning and implementation of online and in-person training programs. She is responsible for all education programs and content for PEAK Grantmaking conferences, workshops and online resources. She has over 20 years of experience in higher learning and not-for-profit association management. She brings experience in strategic learning design, technology development, association governance and membership recruitment and retention. Liz earned a Bachelor of Business Administration from Bay Path College and a Master of Arts in Education and Human Development from The George Washington University. Explore how to quickly and effectively launch a podcast without fear and use it to build momentum around your learning initiatives. Many organizations recognize the value of podcasts to drive engagement, however are challenged to develop an effective plan to launch and evolve their programs. This webinar will explore how to quickly and effectively launch a podcast without fear and use it to build momentum around your learning initiatives. Doug Sandler has over 30 years of business experience as an entrepreneur, business owner, manager and also as a member of several associations. Doug's podcast "Nice Guys on Business" has been downloaded and shared millions of times and has a loyal following within his Nice Guy community. He regularly works with organizations to build, implement and grow their own podcasts and develop a social media strategy to get their message out and their brand booming using podcasting as a channel. Additionally, his book, Nice Guys Finish First is a #1 ranked Amazon Best Seller. Doug is a nationally recognized speaker, trainer and meeting facilitator. Doug has been titled by a leading social media marketing company in the top 100 of Social Media Thought Influencers to follow. The fact that the educational system in the United States is in disarray from the post-secondary system all the way down to the kindergarten level is heralding new opportunities for associations of all types. With disruptions coming at all levels from online learning to the advent of the MOOC movement no educational institution will be immune. Complex workplaces require new combinations of skills and micro-credentialing is gaining new traction as a way for employers to measure skills attainment in multiple contexts. How can associations cope with and take advantage of openings being created by these changes? The fact that the educational system in the United States is in disarray from the post-secondary system all the way down to the kindergarten level is heralding new opportunities for associations of all types. With disruptions coming at all levels from online learning to the advent of the MOOC movement no educational institution will be immune. Complex workplaces require new combinations of skills and micro-credentialing is gaining new traction as a way for employers to measure skills attainment in multiple contexts. How can associations cope with and take advantages of openings being created by these changes? Take a big-picture look at changes underway in the educational system. 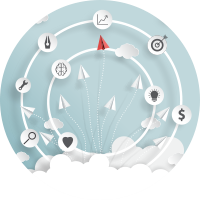 Examine new opportunities for associations to create radical value in this new marketplace. Explore the concept of micro-credentialing and why associations need to factor it into their current and future educational offerings. Shelly is a facilitator, trainer and speaker specializing in non-profit trade and professional associations. She conducts leadership and staff retreats, facilitates and designs tactical strategic solutions and speaks on critical issues faced by the association community and society. She is also the author of the Association Subculture blog. Find her on Twitter - @shellyalcorn. Shelly was formerly the Executive Director of the California Association for the Education of Young Children (CAEYC) and Executive Director for the Automotive Service Councils of California (ASCCA). Shelly has spent many years in association management with such organizations as the California Society of Association Executives (CalSAE), California Automotive Wholesalers' Association (CAWA) and the California Peace Officers' Association (CPOA). She has extensive experience in board governance, chapter and component relations, government affairs, communications, finance, membership, endorsed programs, educational program design and the execution of conferences, meetings and events. Previously, Shelly owned and operated her own consulting practice that provided government affairs, ballot initiative campaign work, website design and grass roots lobbying program development for small associations. Learn how to drive interest for education using events that are trending and interesting from a real-time perspective. As PD professionals, it is your job to start abreast of news, sensitive issues and what's on the mind of your education participants. Not addressing sensitive cultural issues and situations can make your education seem dated and out-of-touch with your attendees. By scanning the news media and asking your education session leaders to do the same, you will create programs and content that is fresh and exciting. This webinar will provide three secrets to creating exciting content that keeps your attendees (online and off) buzzing. We are excited to have Adele Cehrs from Epic PR Group for this event. Adele has served as a PR and branding strategist, corporate counsel, and crisis-management adviser for clients such as Yum Brands, DirectTV, Dole, Johnson and Johnson, DuPont, Lockheed Martin, Verizon, Monster, Georgetown Cupcake, Sara Lee, and the Convention Industry Council. Prior to owning her own company, Adele was an executive at top PR firms in New York City and Washington, DC, including TSI Communications and Ogilvy Public Relations Worldwide, and served as a spokesperson for companies such as DuPont, 1-800-Flowers, Transwestern Properties, MCI/WorldCom, and DirectTV. She is a frequent media expert for CNN Headline News, NPR, Fox Business, CBS, NBC, Voice of America, Inc., Bloomberg Businessweek, PRWeek, Forbes, Entrepreneur, and a regular contributor to the Wall St. Journal. How do associations support and promote professional development through community engagement? How can we leverage online communities and learning management systems for social learning? What education objectives are best supported through community? Answer these questions and grow community habitats for learning. Associations are investing much of their strategic and financial resources in two separate spheres; learning and community. There is recognition of the importance in creating synergy between these two areas, to build a vibrant, organic foundation. How do associations support and promote professional development through community engagement? 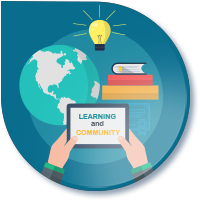 How can we leverage online communities and learning management systems for social learning? What education objectives are best supported through collaboration? In this webinar Ben Martin will address these questions and discuss how we can create social learning habitats. Recognized as one of “Five to Watch" by ASAE's Associations Now magazine, and a winner of the National Association of REALTORS®' Technology Spotlight Award, Ben Martin is an association executive with over 15 years of experience in online communities and membership organizations. He is the Chief Engagement Officer at Online Community Results, providing online community consulting, coaching, outsourced management, and strategy services. This session is designed to help association professionals and industry partners leverage their inner entrepreneurial spirit to categorize, audit and optimize the programs that comprise their learning portfolios, resulting in a stronger brand, an elevated reputation and more loyal participation. Approximately 27 million working-age Americans are currently starting or running new businesses. What if you could replicate the secrets of their startup success within your own department or organization? Despite the cliché image of entrepreneurs who achieve great things simply flying by the seats of their pants, the most successful businesspeople approach their work with intentionality. As education providers, we routinely inherit programs with unclear or undefined outcomes; we operate in an increasingly competitive professional development environment with fewer resources and budget-strapped attendees; and we consistently grapple with unrealistic revenue and attendance targets while forgetting to sunset programs past their prime. Aaron is a talented and passionate association learning strategist and meetings coach whose diverse achievements guide and propel association goals and initiatives, especially as they relate to education. Aaron has more than a decade of experience in the meetings industry, and has taught for three years at a Michigan college. Aaron is a certified association executive, a certified meeting professional and a certified tourism ambassador; has earned a master's degree in administration from Central Michigan University (with a concentration in leadership); and is an Association for Talent Development Master Instructional Designer. An active member of ASAE, Aaron is chairman of the Professional Development Section Council, as well as past chairman of the Young Association Executives Committee and a 2009-2011 Diversity Executive Leadership Program scholar. When not working with clients Aaron enjoys cooking, running, blogging, old homes and unclehood, as well as tending to his puppy, Lillie. Likewise, Aaron maintains a popular association blog at www.aaronwolowiec.com, contributes to a variety of industry publications and mentors a number of emerging professionals. Is micro-learning a good fit for your organization? Learn the top advantages and disadvantages (in less than five minutes). Does micro-learning make sense for your organization? Want to know the pros and cons? In less than five minutes, education expert, Jeff Cobb, will share with you the top advantages and disadvantages. As the name suggests, this form of learning is brief, unlike traditional courses and conference sessions. The purpose is provide learners with small, bit-sized nuggets of content, whenever and wherever. As with anything, there are pros and cons and the goal of this micro-learning session is to share how it might work in your organization. Jeff Cobb has spent nearly two decades immersed in the global market for adult lifelong learning as an entrepreneur, consultant, teacher, and author. He has been at the forefront of learning technology trends and has developed deep expertise in helping organizations grow and improve their continuing education and professional development businesses. Jeff was co-founder and CEO of Isoph, a leading provider of e-learning technologies and services to associations. He has also served as senior vice president of business development for Quisic, an e-learning partner to top-tier business schools and fortune 500 companies, and vice president of business development for LearnSomething. Jeff is a vocal advocate of cradle-to-grave lifelong learning, an award-winning teacher, and author of multiple books, including Leading the Learning Revolution (AMACOM 2013). He currently serves on the governing board of NIGP: The Institute for Public Procurement, to which he was specifically appointed as an education thought leader. He has previously served on the advisory board of Future Learning, the Professional Development Section Council of the American Society of Association Executives, the research committee of the eLearning Guild, and the editorial board of Innovate, a leading resource for information about innovations in learning and technology. You've got the tools and the content, now what? Instructional design of your eLearning courses is where the magic happens. As more and more associations seek to provide online learning opportunities to their members, learning management systems (LMS) are becoming much more prevalent. But as you add an LMS to your arsenal of technology tools, have you thought through the opportunities and pitfalls that an LMS brings to your broader data management process? * What are the key considerations for AMS/LMS integration? * What are some of the major pitfalls or areas of concern to watch out for with integration? * What are some of the more advanced integration opportunities? * How you can use data from your LMS to improve your marketing and communications efforts? Wes is president of Effective Database Management. For over 25 years, Wes has worked in and with over a hundred associations, non-profits, and membership organizations throughout the US, Canada, and Australia. Wes consults on a broad range of data management issues, from system selection and implementation to ongoing data management. Wes is the most published author on data management in the association market and is the author of “Put Your Data to Work: 52 Tips and Techniques for Effectively Managing Your Database," published by ASAE. Prior to starting his own consulting firm, Wes had nearly ten years experience working in associations as director of membership, marketing, and communications. AILA Online course will be held November 14 and 15. The full schedule is available below. Click the Day 1 and Day 2 tabs to toggle between views of the sessions to be held each day, and click the title or the Read More link of each session to view a full description. is a learning experience designed specifically for professionals in the business of continuing education and professional development. The goal of the event is to help attendees find new and better ways to engage learners and create lasting impact through the effective use of technology. LTD will offer a blend of in-depth workshops, short content presentations (what we call Content Pods™), active learning opportunities (what we call App Labs™), high-value peer networking, and access to a range of technology providers that serve the market for lifelong learning. What are some of the primary ways you're using (or looking to use) Elevate? Change is the constant. Chaotic environments the norm. Today is dramatically different than ten or twenty years ago. The line between work, play and leisure will continue to erode. Join Velvet Chainsaw Consulting's Jeff Hurt for his insight into the opportunities these changes create for associations. According to the technology research company Gartner, by 2020 more than 40% of an organization's work will be non-routine. During the next ten years six radical changes will disrupt traditional work. The need to adapt to these mega-trends will be imperative for success. Will you be nimble enough to adapt to these impending work changes and adjust accordingly? Today is dramatically different than ten or twenty years ago. Change is the constant and chaotic environments the norm. The line between work, play and leisure will continue to erode. According to the technology research company Gartner, by 2020 more than 40% of an organization's work will be non-routine. During the next ten years six radical changes will disrupt traditional work. The need to adapt to these mega-trends will be imperative for success. Will you be nimble enough to adapt to these impending work changes and adjust accordingly? Identify six radical work changes that will disrupt traditional work models. Evaluate how these disruptors might benefit or hinder your work. Distinguish how to take advantage of the opportunity hidden within these radical disruptors. When we conceived the Elevate Learning Platform a primary objective was to foster the integration of knowledge from thought leaders with peer ideas and experiences to create a strong social learning environment. When you enroll in a webinar, you will immediately have the ability to join a forum discussion around the topic for this program. You have the option of receiving a notice each time someone posts to the forum. We expect our session leaders to support these discussions with their thoughts on their topic. What traditionally has been a 60 to 90 minute session can now evolve into a much more meaningful engagement. You will be able to login 15 minutes before the event begins. Note that this program will be utilizing streaming audio (through your computer speakers). Date: Tuesday, February 24th, 2015 | Time: 2:00 ET, 1:00 CT, 12:00 Noon MT and 11:00 PT. "Contrary to traditional belief, entrepreneurism is not just about making money, nor is it merely about starting up a Venture or owning a small business—it is a way of life, applicable to all human economic activities" (Kao, Kao, and Kao, 2002). This session will share practical—and highly effective—entrepreneurial strategies and techniques you can apply within your organization right away. Led by a native “for-profiter" who recently transplanted to the association industry, and a leader in marketing and branding in the association community, you'll get the inside scoop how to lead with an entrepreneurial mindset within an association framework. Generally speaking, the spirit of entrepreneurism is fundamental and “natural” within for-profit organizations and small businesses. Yet, the same is not true for many associations and non-profits. And while there is no shortage of expertise and/or resources on the concept, often times the models are too theoretical or not directly applicable to associations. Nevertheless, it’s an exciting time to work for a non-profit organization! The landscape in which we operate is rapidly evolving, and we’re continuously facing new challenges and opportunities. As stewards of the organization, we owe it to our members to be proactive, focused, and innovative. What is more, to remain viable (and indispensable to our members), we must embrace the fact that leading with a strong business model is no longer a luxury, but rather the standard. This session will share practical—and highly effective—entrepreneurial strategies and techniques you can apply within your organization right away. Led by a native “for-profiter” who recently transplanted to the association industry, and a leader in marketing and branding in the association community, you’ll get the inside scoop how to lead with an entrepreneurial mindset within an association framework. Chris Urena is obsessed with helping associations unleash their untapped potential. And, he’s devoted most of his career to doing just that! Chris began his professional journey at CommPartners, a leading online education solutions firm within the association industry, making extra money (as a CD-producer) during undergrad in 2006. Following graduation, Chris continued at CommPartners and successfully took on several jobs and responsibilities such as: customer support, event management, marketing, and sales. However, he is most fond of his last role, VP of Business Development, a position that allowed him to engage with many high-profile associations in a consultative role and guest speaker. A life-long learner, Chris left CommPartners in 2013 to expand his mind and experience in association management and took a position at the American Speech-Language-Hearing Association (ASHA), as Director of Professional Development. His unit is charged with generating a significant amount of non-dues revenue, so Chris is right at home infusing his business savvy and energy into the fold. In his spare time, Chris enjoys staying fit (and sane) by running several miles each day, and is planning to re-learn the piano. He recently completed his MBA program, and wishes to finish another master’s program that he placed on hold several years ago. Tracy White started her career in publishing where she leveraged her strategic direction to build and brand an up-start magazine—turning it into a fast-growing, highly profitable, multi-media brand. White now puts her creative and strategic vision to work at a non-profit association in the DC area, where she manages the marketing and branding of one of its flagship brands. White is a popular speaker—speaking across the U.S. and in countries as far away as Japan, New Zealand, and South Africa. She is the author of two books and holds a Master’s degree in communications. Develop strategies for building a more loyal and engaged community through education. The ASAE Publication, “Decision to Learn” provides valuable research on members’ participation in education programs as an indication of their sense of affiliation and loyalty towards an organization. The primary finding is that associations providing rich learning experiences are better able to support and grow their member communities. Identify how to best engage your membership through learning. Discuss new education programs that provide greater accessibility and relevancy to a majority of your community. Build relationships by being the go-to place for knowledge. By participating in this webinar, attendees will take away strategies for building a more loyal and engaged community through education. Rich Finstein is the founder and CEO of CommPartners, an online education and event company located in Columbia, Maryland. When the organization began in 1994, Rich made the decision to focus on the needs of the association community. 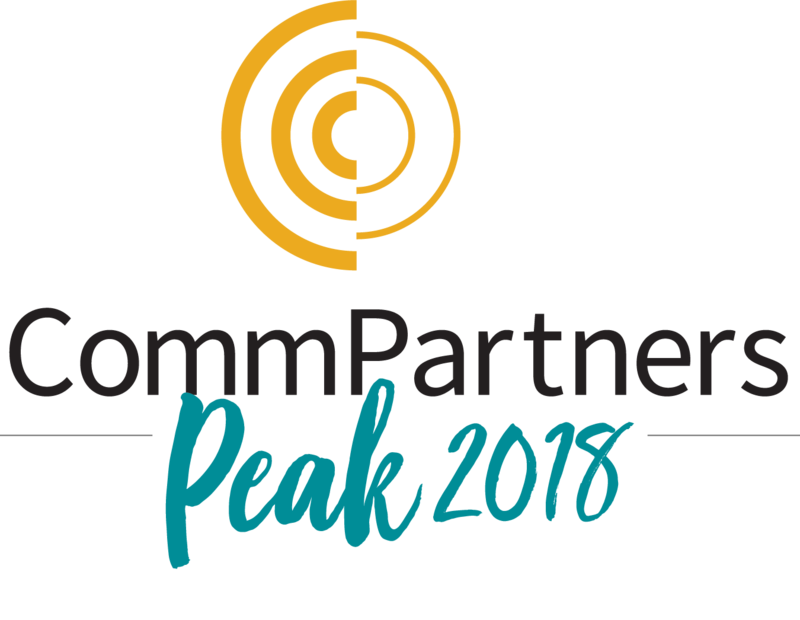 Twenty years later, CommPartners has had the opportunity to collaborate with over 1,300 clients including trade organizations, societies, chambers of commerce, and non-profits. He has a passion for helping clients connect with their communities through online education, multimedia events and knowledge management. Association innovation comes from the ability to question everything. Join Mary Byers, author of Race for Relevance: 5 Radical Changes for Associations, as she challenges current thinking and suggests changes you should be considering. From membership dues to governance; from face to face to online, Mary will encourage and inspire you by what she's seeing and hearing from associations as well as daring you to adapt for-profit concepts to strengthen the future of your organization. Join us for a lively program featuring Mary Byers, CAE, author of Race for Relevance: 5 Radical Changes for Associations, as she challenges current thinking and suggests changes you should be considering. From membership dues to governance; from face to face to online, Mary will encourage and inspire you by what she's seeing and hearing from associations as well as daring you to adapt for-profit concepts to strengthen the future of your organization. What will it take for associations to thrive over the next decade and beyond? In this virtual learning session led by Jeff De Cagna, you will learn how the fundamental human experience of associating--the deep and enduring rationale for the existence of associations--continues to expand and evolve in a world experiencing relentless transformation. By building an empathic understanding of the world in which your stakeholders live, you can develop your capacity to ask and answer more generative questions about the future of your organization. If your organization is not actively exploring possible responses to this question, you're running behind. The accelerating pace and intensifying impact of societal transformation is unforgiving. It will not slow anytime soon, and it certainly will not wait for you and your board to get your act together. Date: Thursday, October 23rd, 2014 | Time: 2:00 ET, 1:00 CT, 12:00 Noon MT and 11:00 PT. If your organization is not actively exploring possible responses to this question, you're running behind. The accelerating pace and intensifying impact of societal transformation is unforgiving. It will not slow anytime soon, and it certainly will not wait for you and your board to get your act together. Are you ready to build a truly 21st century association? Above all else, leadership is an activity of purpose. Earning your status as a leader means being purposeful about forgetting the past and driving the challenging work of reinventing your organization for the very different world that is unfolding before our eyes. In this virtual learning session, you will learn how the fundamental human experience of associating--the deep and enduring rationale for the existence of associations--continues to expand and evolve in a world experiencing relentless transformation. By building an empathic understanding of the world in which your stakeholders live, you can develop your capacity to ask and answer more generative questions about the future of your organization. In the words of poet Mark Strand, "the future is always beginning now." It is time to make it happen for your association. Carolyn Breen started her career as a statistician with the Department of Commerce. Since 1999, he has focused his efforts on research and analysis of market data and economic indicators for the work truck industry. He was appointed to the U.S. Government’s Industrial Trade Advisory Committee for capital equipment and is currently a member of the National Association for Business Economics. In 2008, he was named one of Bloomberg’s top economic forecasters. Steve earned a master’s degree in economics from the University of Utah (Salt Lake City, Utah). Education in associations has evolved more in the past five years than in any previous period. There is increasing recognition that building community around knowledge strengthens member relationships, creates loyalty and grows participation in an organization's programs. While learning management systems have been available for many years, many question if they are the ideal resource for this type of engagement to occur? Where do private communities and public social media fit in? What are the ground rules for creating content, selecting speakers and scripting each opportunity? In this session we will begin with a discussion of choosing the right learning platform for an organization. We will then move to ways to structure and present education opportunities that build relationships, stimulate discussion, increase engagement and ultimately generate income. Understand the power that community based learning can have on retaining members and attracting new participants to your organization. Learn about tactics to move your members to get more actively involved in your education efforts. Review strategies for generating a greater return from your education investment. You may have read the book. Now it’s time to dig a little deeper into each of the strategies on the Road to Relevance. This five-part webcast series will help your association become more efficient while enhancing member value. Based on their book, Road to Relevance: 5 Strategies for Competitive Associations, and their work with over 1,400 organizations, best selling authors Harrison Coerver and Mary Byers, CAE provide an introduction and overview designed to help you take the conversation about relevance to the next level. You will learn about associations that have successfully adopted the strategies, gain insight into how to do the same for yours, and get valuable handouts and worksheets designed to aid you on your journey. Harrison Coerver There are five interlocking strategies on the Road to Relevance. Understanding all five—and how they work together—is essential for today's association staff and volunteer leaders. The concepts are simple, yet powerful, and help create a sustainable, efficient, and relevant association. Though each module provides a stand-alone look at one of the five strategies, together they present a road map for staff and volunteers, allowing you to operate more effectively in a highly competitive environment. The Road to Relevance series has been carefully designed to accommodate your busy schedule. Each strategy is covered in a 60-minute program to be watched at your convenience. 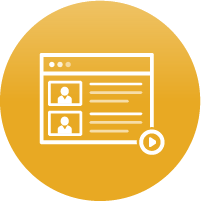 Each module may be viewed a total of three times at no additional charge so that you can share with staff and your volunteer leaders. Harrison Coerver is President of Harrison Coerver & Associates, a management consulting firm specializing in trade associations, professional societies and other tax-exempt membership organizations. Since 1985 Coerver has consulted with over 1,000 associations in strategy, planning, marketing and management. He is known for his group facilitation skills, straightforward style and innovative approaches to association governance and management. He is also a frequent speaker and seminar leader on future trends for associations and professional societies and is a former member of the Board of Directors of the Association Forum of Chicagoland, a 4,000-member organization serving association professionals in the greater Chicago area. The Road to Relevance starts with identifying and building on your strengths. This in-depth session takes a look at possible strengths, helps you identify yours and explores how knowing them will lead to focus and clarity in your future financial and human resource decision making. You’ll get a list of questions to help you discover your strengths as well as a matrix to help you match your strengths with opportunity. Bill Gates attributes his success to the fact that he “focused in on a few things.” This strategy is powerful for your association as you go through the process of deciding where to focus your energy, expertise and financial resources in order to get the biggest return on investment for your members. Are your programs and services the result of a carefully planned portfolio of offerings—or the result of years and years of adding here and there? We bet it’s the latter. If so, this session will help you identify action steps to create better synergy in the future. Associations are a living example of “we’ve always done it this way.” Unfortunately, in today’s competitive environment, “this way” may actually be making it harder for you to compete effectively. 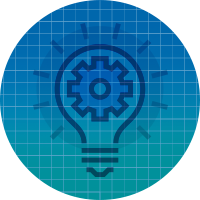 Get a simple template for starting process discussions in your association to break through bottlenecks and obstacles to providing an outstanding value proposition for members. Strategy #5 shows you why less really can be more in the association environment. Based on their book, Road to Relevance: 5 Strategies for Competitive Associations, and their work with over 1,400 organizations, best selling authors Harrison Coerver and Mary Byers, CAE provide information designed to help you take the conversation about relevance to the next level. The average association creates value by adding things rather than creating valuable things. Has this been your operating philosophy in the past? If so, this session will teach you a methodical process of identifying what should stay—and what should be eliminated from your portfolio of services. You'll learn how to get buy-in from leadership, how to decide what to eliminate and how to create a compelling vision for staff and leaders in order to make the process easier. Strategy #4 shows you a simple template for starting process discussions in your association in order to break through bottlenecks, road blocks and obstacles to providing an outstanding value proposition for members. To be competitive, an association cannot afford to be inefficient. It cannot misuse or squander resources in ways that don't add value. Like elite athletes, associations are going to have to be in top shape and perform with maximum efficiency to ensure success and relevancy in the future. How can you do this? 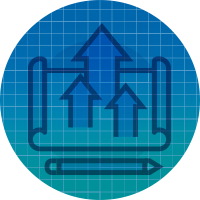 Learn about “value stream mapping" and how it leads to increases in productivity and efficiency and possible cost-savings for your association. Hear case studies of associations that have increased their turn-around time for members and saved as much at $250,000 as a result of process alignment. Strategy #3 asks whether your programs and services are the result of a carefully planned portfolio of offerings—or the result of years and years of adding here and there. We bet it’s the latter. If so, this session will help you identify action steps to create better synergy in the future. Few associations have a cohesive, well-thought out mix of programs and services that are purposefully integrated and that complement and reinforce each other. 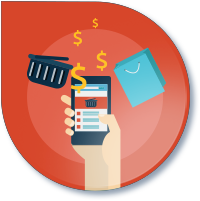 Scarce is the association with a menu of products and services that takes advantage of synergy. But lack of synergy means more difficulty in marketing programs and services and less traction when it comes to being the “go to" resource in your industry or profession. This session will help you understand “fit," recognize the value of suites of services, and get ideas regarding what to do with programs that don't fit. This session includes a handout designed to help you figure out “fit" for your programs and services and to identify the “orphans" that don't fit. Strategy #2 is powerful for your association as you go through the process of deciding where to focus your energy, expertise and financial resources in order to get the biggest return on investment for your members. Focus is the act of channeling an organization's energy and activity on a central point. Focus doesn't just happen. It takes analysis and judgment. It takes discipline. And once you have it, losing focus is easy. This in-depth session will help you identify where competition is coming from today and why it's important to concentrate resources as a result. It will help begin to think about where your association should be concentrating its resources and how to go about doing it. This session includes a Competitive Analysis Matrix for your use with your association. Strategy #1 in the five-part Road to Relevance series starts with identifying and building on your strengths. Based on their book, Road to Relevance: 5 Strategies for Competitive Associations, and their work with over 1,400 organizations, best selling authors Harrison Coerver and Mary Byers, CAE provide an introduction and overview designed to help you take the conversation about relevance to the next level. What are your strengths? You need to understand them in order to build on them. This in-depth session takes a look at possible strengths, helps you identify yours and explores how knowing them will lead to focus and clarity in your future financial and human resource decision making. You'll get a list of questions to help you discover your strengths as well as a matrix to help you match your strengths with opportunity. A panel of experts discusses the future of associations and changes that need to be made for these organizations to continue to thrive. We lined up an exceptional group of leaders within the association community to find out what we should be doing today to best prepare for the future of our organizations. When we consider the planning process, we should think much more strategically than simply creating a succession plan. Our esteemed panelists include John Graham, CAE, President and CEO, ASAE, Jeff De Cagna, FRSA, FASAE, Chief Strategist and Founder of Principled Innovation and Seth Kahan, American Author and Change Agent. The program is moderated by Rick Church, Head Coach, CM Services. The webcast was recorded during the Council of Manufacturing Association's Fall Leadership Conference in January of 2014. Jeff De Cagna of Principled Innovation is a respected association community thought leader, innovator and contrarian. For more than twenty years, Jeff has been inviting association leaders to think differently about the future, and pursue the generative work of transformation. He regularly challenges orthodoxy as an advisor to associations and non-profit organizations across North America and around the world. Jeff is a sitting board member for two national non-profit organizations, and he is currently serving a term as chair on one of those boards. John became the President and Chief Executive Officer of ASAE August 1, 2003. During the first year of his tenure, ASAE and GWSAE completed an historic merger resulting in a new, unified organization. ASAE is more than 21,000 association executives and industry partners representing 10,000 organizations. Our members manage leading trade associations, individual membership societies, and voluntary organizations across the United States and in 50 countries around the globe, as well as provide products and services to the association community. 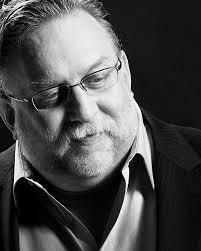 Seth Kahan is an executive business strategy expert that specializes in change and innovation leadership. Seth has been designated a Thought-leader and Exemplar in Change Leadership by the Society for Advancement of Consulting®. The Center for Association Leadership conferred upon him the title of Visionary. Seth has worked with over 30 executives including the supervision of large-scale change programs at Royal Dutch Shell, World Bank, and Peace Corps. He specializes in association leadership and includes over 25 association CEOs among his clients. Rick Church, CM Services’ Head Coach, learned the association management business by working his way up from the CM mailroom, literally. In his varied positions at CM he has managed and implemented several communications programs for many of the association partners. He has also managed the day to day activities of the Ceramic Tile Distributors Association, the National Church Goods Association and the American Fence Association. The Road to Relevance livestream program is a compelling presentation about how associations need to change to continue to lead their communities into the future. Led by thought leaders Mary Byers and Harrison Coerver, this multimedia presentation takes the award winning book by the same name and brings to life this important discussion. Associations are confronted with unprecedented, ubiquitous, and relentless competition, yet traditional association governance and management approaches are ill-equipped to respond. 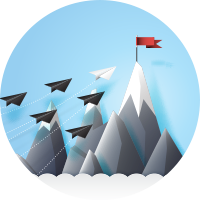 Best-selling authors Harrison Coerver and Mary Byers, CAE address this challenge in this thought-provoking look at how competition is threatening the relevance of associations and what you can do in response. Based on their new book, Road to Relevance: 5 Strategies for Competitive Associations, and their work with over 1,400 organizations, the duo provides an introduction and overview designed to help you take the conversation about relevance to the next level. In this webcast, Mary Byers and Harrison Coerver feature practical advice and compelling case studies, giving you a peek at the proven strategies that have transformed associations and help you gain insight into implementing them in your organization. Mary Byers, CAE has been a professional speaker since 1988 and consults with organizations about developing leadership potential, creating harmony in work teams, and developing strategic plans. She’s a member of the National Speakers Association and has presented in more than 26 different states on a variety of topics. In addition to Road to Relevance, Byers is the author of six other books. She is the former Director of Communications and Member Services at the Illinois State Dental Society and Director of Advertising for the for-profit division of the International Order of the Golden Rule. She has strong ties in the field of association management and is a member of both the American and Illinois Societies of Association Executives and a former member of the Board of Directors of the Illinois Society of Association Executives.